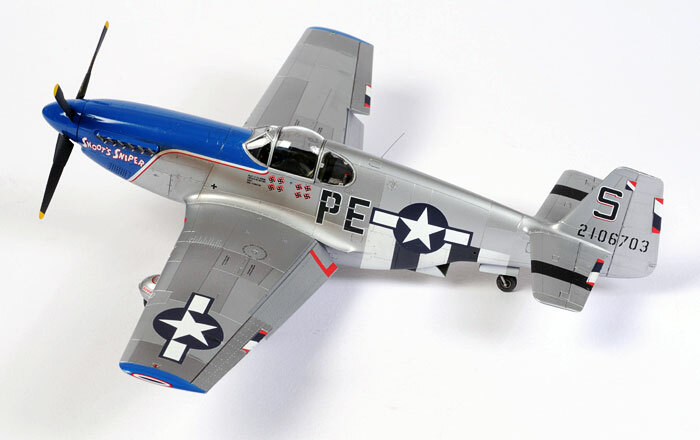 Here is my 1/48 scale Tamiya P-51B Mustang finished in the striking blue nose markings of the 352nd Fighter Group. I built this model straight from the box as a canvas for demonstrating natura metal painting techniques in the forthcoming Osprey book, "Airbrush Master Class". The only two additions were a harness thrown together using lead foil and fine wire (I had run out of Ultracast Mustang seats), and a whip aerial from stretched sprue offset to the starboard side of the spine. The model is a sheer delight to build. The fit was almost perfect, with no putty required whatsoever. My Mustang was painted using the Testor Aztek A470 airbrush and Polly Scale finishing products. Deacls are from Eagle Strike sheet number IP4807, "Blue Nose Birds of Bodney in Profile". I have been looking for an excuse to use these decals for years! 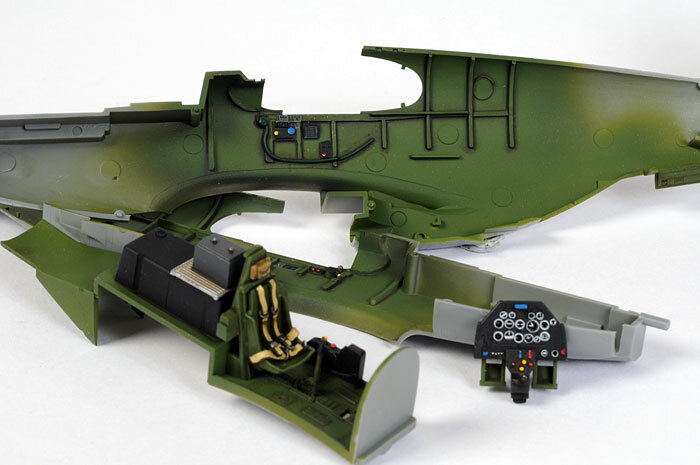 Please note that on the real aircraft, the wings would not have been bare metal as depicted here. They would have been puttied, smoothed and painted silver.